PJSC Odesa Port-Side Plant plans to terminate a contract with Liberty Gas LLC, which won a tender to process gas on a tolling basis at the plant's facilities, First Deputy Director of Odesa Port-Side Plant Mykola Schurikov has said. "Liberty Gas has so far paid funds in the amount of $600,000 and UAH 5 million to the plant. Unfortunately, we received a letter from Liberty about the impossibility to fulfill the terms of the contract with the Odesa Port-Side Plant in the future. We begin the procedure for termination of the contract and are preparing a new tender to select a partner to work with the plant," he wrote on his Facebook page. 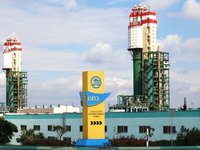 According to the letter of Liberty Gas to the Odesa Port-Side Plant, posted by N Schurikov, the limited liability company transferred funds to start the plant and paid an advance for processing services. The company also entered into a contract with Vitol to supply gas and Keytrade AG to ship products. "Unfortunately, today the global natural gas market has an unjustified increase in the cost of gas, and over the past several weeks the gas price has increased by more than 50%, which has a very negative effect on the economic performance under the contract between our enterprises," the company said in the letter. As reported, at the end of July, the Odesa Port-Side Plant, which has been idle since the end of April this year, signed a contract to process gas on the tolling basis at the facilities of the enterprise with Liberty Gas LLC, which won the corresponding tender. The launch was scheduled for the end of September.